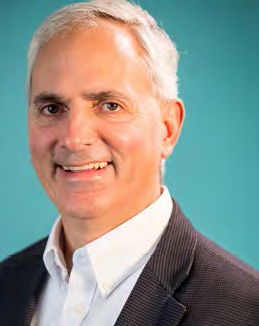 John LeBlanc is the new president and chief executive officer at True Friends, a nonprofit agency that provides life changing experiences that enhance independence and self-esteem for children and adults with disabilities. “I am thrilled to be leading such an inspiring organization that has a strong foundation created by Ed Stracke,” said LeBlanc. “I look forward to continuing to offer the same life-changing experiences for individuals of all abilities, while being responsive to the growing needs of the populations we serve.” Stracke recently stepped down after leading the agency for more than 33 years. Inspired by the mission of True Friends, LeBlanc sought opportunities to be further engaged. He came on board in 2014 as a development officer and had the opportunity to expand into the chief operations officer role in 2015. Prior to his career at True Friends, he worked in fund development for nonprofit organizations in the Twin Cities. LeBlanc was chosen from a group of five highly-qualified candidates. He lives in Minneapolis with his wife Michelle and their four children. 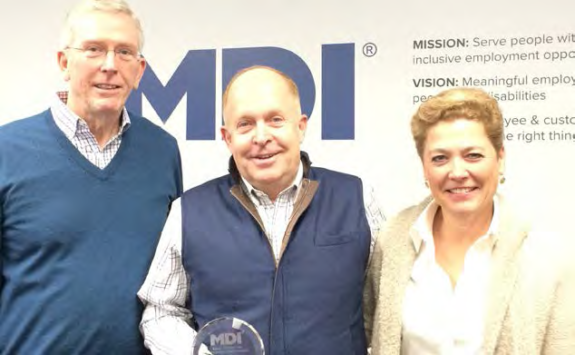 MDI, a Minnesota-based nonprofit social enterprise with the mission to serve people with disabilities by offering inclusive employment opportunities and services, has elected new officers to its board of directors. Ellen Hoeg to succeed Keith Olson as board chair. Jill Hesselroth is the new vice-chair. Olson will step down from the lead role after two years of dedicated service, but will remain on the board. Hoeg has served as a board member since 2014. She has also chaired the MDI business development committee during which time the company launched a new polypropylene product line and medical “white room”, offering controlled environment production services. Hesselroth has served on the board since 2016, and is a business development committee member. Hesselroth brings a wealth of business and lean manufacturing experience. She has served as CEO of Intek Plastics since April 2015 and has led the company’s expansion into several new markets. Minnesota’s celebration of the life of the Rev. Dr. Martin Luther King, Jr. included a special program and the presentation of the 2018 Governor’s Council on the MLK Day Celebration Awards. Awards are given to those who work tireless each day to ensure opportunity and justice for all. One of the winners is Minnesota Council on Disability Executive Director Joan Willshire. She was one of 14 people who received a 2018 Commitment to Service Award. She was honored along with several elected officials and other community leaders. Two people, Dr. Josie Johnson and Mahmoud El-Kati, were given 2018 Lifetime Achievement awards. This year’s event was January 15 at the Ordway Theater in St. Paul. The event has been held for 32 years. Minnesota-based medical-device and technology manufacturers have a new option for kitting and assembly in a controlled environment. A new white room in MDI’s Minneapolis facility offers skilled hand assembly, kitting and packaging for medical products and other devices. The 2,000-square-foot room has a modifiable cell-floor layout that can be arranged for varying product-assembly needs. Two separate entrances – for material transfer and employees – reduce risk of contamination. The white room provides a controlled environment for the assembly or repair of precision equipment. MDI also delivers dependable lot tracking and inventory control under a quality management standard. The organization will soon achieve certification for the latest global standard in quality management, and is working toward a higher standard for medical-device quality management. MDI is located among the concentration of medical-device manufacturers in Minnesota’s “medical alley,” and positioned for growth in this sector. According to the Greater MSP organization, nearly 700 medical-device companies have headquarters or major operations in Minnesota, and the industry has a $14.2 billion economic impact within the state. MDI formed a medical-sector advisory group to leverage the deep industry knowledge available in the Twin Cities region. Representatives from 3M Healthcare, Intek Plastics, Medtronic, Surgical Technologies and Tapemark have counseled MDI through business strategy and development to best meet the needs of potential, white-room customers. The build of the white room was supported in part by grants from the Richard M. Schulze Family Foundation and Wells Fargo.